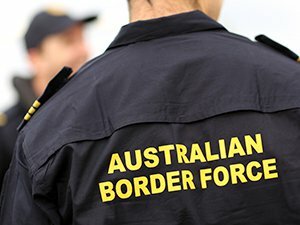 Last week the Australian Border Force announced it would launched a massive operation to perform random visa checks on immigrants throughout the city of Melbourne. But by that afternoon, so many protesters against visa spot checking had arrived at the location of the intended press conference, it had to be cancelled. Only hours later, the entire operation was suspended. In what became a PR disaster – only the latest for the Australian government – the government denied knowledge of the operation. Local officials including the mayor and police minister condemned the „innapropriate characterisation“ of immigrants in the wording of the press release. So what is going on with immigration in Australia? And where does this anti-immigrant rhetoric come from? If even the government denies responsibility – and they are best known internationally for their brutal ‚Stop the Boats‘ policy of turning back asylum seeker boats – then has the time finally come for them to admit being ashamed?